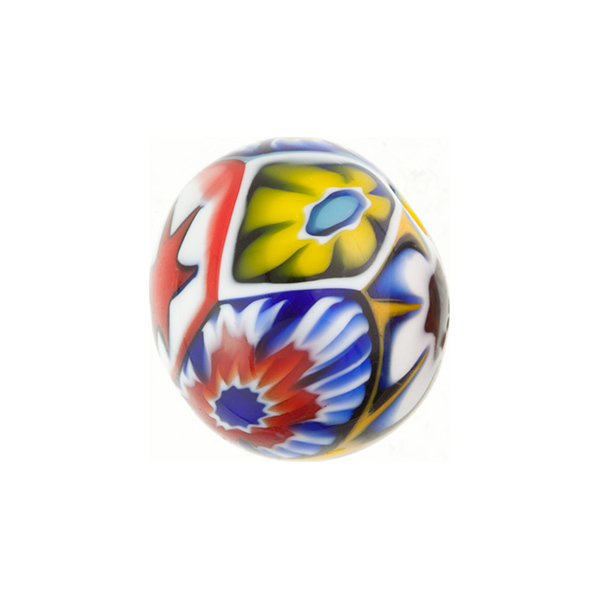 Murano glass millefiori bead. Features a smooth finish which is the result of tumbling following the bead being made in with the torch. Each one different owing to variation of the millefiori slices used in production. 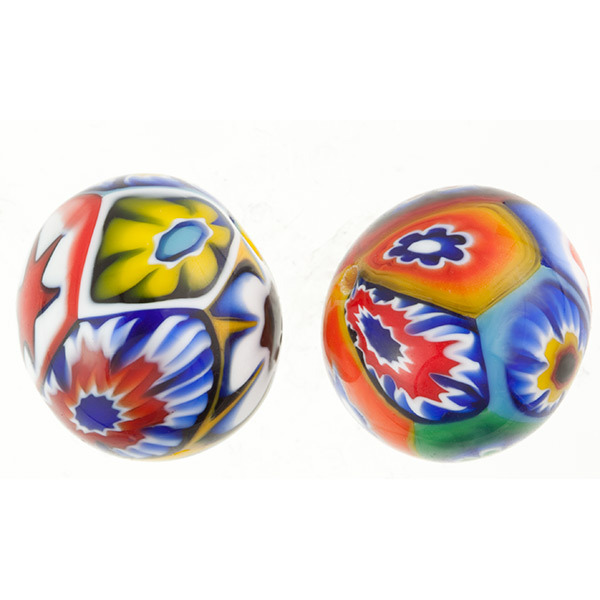 Authentic Murano Glass handmade in Murano. The size is approximately 8mm Round with a 1mm hole through the center. This is classic Murano!